Barry Doyle is a 25-year-old student from Co. Carlow in Ireland, who has previously been involved in three clinical trials investigating new treatments for cystic fibrosis. Barry recently began taking the drug Orkambi, which became available in Ireland in May 2017 following extensive campaigning by cystic fibrosis groups. While he did not participate in an Orkambi clinical trial, the treatment has had a very positive effect on his daily life. Here Barry recalls the events of a typical clinical trial visit day. ‘’Since a young age, I have attended both St Vincent’s Hospital and the Cystic Fibrosis Unit at Our Lady’s Hospital for Sick Children in Crumlin for treatment and monitoring of my condition. In the last 12 years, I've participated in three clinical trials. During my involvement, nobody ever asked for my thoughts or feedback on the conduct of the trial and frankly I didn't think anyone would be that interested. 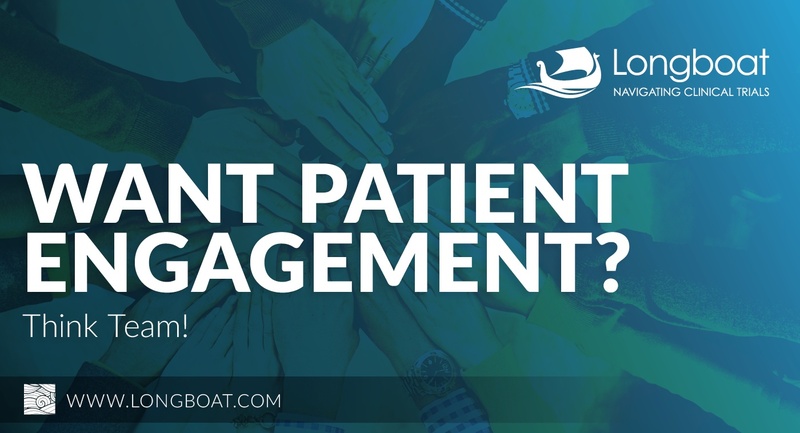 That was until my friend Andrew, who works with Longboat, told me about the shift towards "patient centricity" in clinical trials and asked me to write a blog about my experiences as a patient. So here goes! I hope it gives you some insight into the patient experience. The day of a trial visit always meant an early rise out of bed. My house is a two-and-a-half-hour commute away from St. Vincent’s Hospital in Co. Dublin, where my trial visits took place. The alarm normally went off at 6 am, which allowed me time to carry out my usual morning medication and physiotherapy routines and prepare for the journey and day ahead. No breakfast though, as it was necessary to fast for the visit. At 7.45am my mother would drop me to the bus station to catch a bus to Dublin’s city centre, before getting another bus from the city centre to St. Vincent’s hospital. By this time, it would almost be 10 am. At this time on a normal day, I would have been passing through the gates of college to attend lectures. On arrival to St. Vincent’s at around 10.30 am, I would make my way to the day ward to check-in for my visit. Remember, at this point I still haven’t eaten due to the fasting requirement. I found this quite stressful since I know that eating correctly is one of the most important elements of managing my condition. When I walked through the door of the day unit, a receptionist would greet me and hand me a facemask to help prevent any cross infection while I made my way to my isolated room. This room is where I would spend the majority of the next three hours. My cystic fibrosis specialist nurse was the first person to welcome me to my visit appointment. She would always ask me a list of 10 to 20 questions, mostly regarding my current state of wellbeing. She would also outline my plan for the next few hours of the visit day. First up, I would have my weight checked and my oxygen saturation levels monitored. While this was going on, the nurse would prepare a lung function device (PFT), which would be used as the key indicator to show the overall state of health in my lungs. This would usually take 30 minutes and was always a worrying wait, knowing the significance of these results for me. The test required me to blow as fast and hard as I physically could a number of times into a small mouthpiece to measure the capacity of my lungs. After this, my cystic fibrosis specialist nurse would hopefully give me some positive news regarding my PFT results and then give me two documents to present downstairs at the blood draw clinic along with documentation for the x-ray department, where I would then go to have my lungs x-rayed. I found it annoying that I usually had to wait in a queue of 30 to 40 other patients to have my blood tested, because this would lengthen my visit further in an already stress-filled day, while I would still be wearing my mask to help prevent cross infection in an open environment. In my opinion, it would have been so much more useful to have a designated phlebotomist in the ward where trial assessments were ongoing. My chest x-ray was usually less of a wait. The x-ray could also be counted as a key indicator for my condition as it could show up any pockets of thick mucus of infection gathering on my lungs. The results of my previous tests and the result of the visit day test would hopefully give a clear overall picture of the current state of my condition. To conclude my visit at St Vincent’s, I would go back to the day ward unit at the other side of the hospital to see a physiotherapist and dietician, who would check-in on how I was doing and review my daily physiotherapy and diet routines, as well as my home management plan. My cystic fibrosis specialist nurse would then gather all of the information and results taken during that visit and present it to the senior house officer on outpatient duty. The senior house officer would speak to me about my overall health and discuss the trial medication with me. My cystic fibrosis specialist nurse would thank me for my attendance and inform me that my ‘next visit details’ would be posted to my home address a week before my next visit. By this time, it would be approaching 2.30 pm. This completed my trial visit, which was a stressful day of logistics and examinations. Finally, I would get to have some food (remember I had fasted all day) and then catch the bus back to Dublin city centre before beginning the two-and-a-half-hour commute back home. After the journey home, I would have dinner with my parents and younger brothers, who would ask me about my day. After dinner, the tiredness kicks in after a long day travelling to and from Dublin as well as the stress of the trial visit activities, so it would be time for a good rest and early to bed! As a clinical trial patient, I want to highlight that the trial visit is so much more than just the few hours spent at the hospital. The travelling, the stress, and everything else that goes with it takes its toll on the body and mind, but the hope of finding some positive results to help the management of my condition is my motivation to keep going to visits.